Vietnam vet and former pro football player Wyatt Storme is bow-hunting in Missouri when he stumbles upon a hidden field of marijuana, and is attacked by a vicious dog and shot at by a sniper. He reports violent incident confidentially to the local Sheriff, who is murdered the next day. 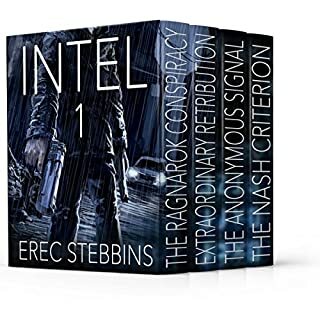 Storme believes there's a connection and starts asking questions, unraveling a deadly conspiracy of corruption, drug-trafficking and organized crime, and making himself someone that just about everybody wants dead. 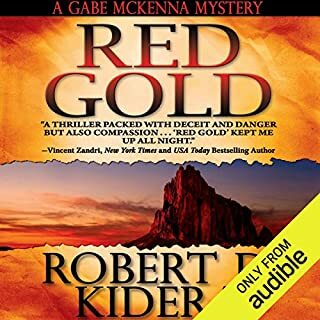 Typically I do not listen to many thrillers, as romance is my preferred genre, but I really enjoyed this one with all of the twists and turns. Parts of the book I really enjoyed and others not as much (I love dogs, so what happened I didn't like). The pace was fast and it kept me on my toes. 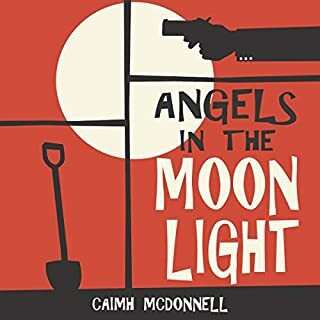 I thought the narrator did a good job fitting the characters and the local dialect My review is not a synopsis of the book, but rather my opinion of it. I enjoyed the humor that was added to this book as well. I was provided with this review copy audiobook at my request and have voluntarily left this review. What did you love best about Hail Storme? I found the Wyatt and Chick to be two of the most interesting characters I've listened to. Clever dialogue that made me chuckle several times. What does J. Rodney Turner bring to the story that you wouldn’t experience if you just read the book? The deep voice of J. Rodney Turner is perfect for such strong male characters. This was the first time I have listened to one of his performances but I will definitely be looking for more. I absolutely love when a story and a narrator are perfectly aligned. That is definitely this listen! This is my first J Rodney Turner listen but in no way will it be my last. His narration was perfection on a stick! I loved his dark and booming delivery and since I listen with earbuds most of the time, his is a voice I wanted constantly in my ears. The story was an incredible action adventure with enough bad guys to go around. I loved how the author added levity and snark into the dark subject and then mixed in a great bromance. I didn't want it to end. Thank goodness there will be a book two!! Worth your time and credit. 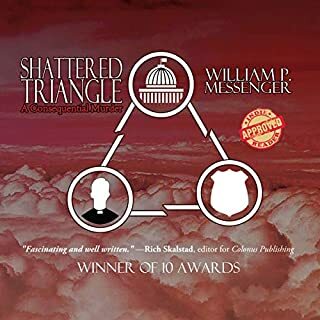 A great suspense thriller with plenty of humor. This is a fantastic start to a series and one I will be definitley continuing with. I have to say the narration pulled me in immediately followed by the story about 3 sentences later. From there I was hooked. It's an interesting, engaging, fun, humorous and very entertaining story with an unusual great cast of characters. The story moves at a fast pace with plenty of action. There is enough suspense, intrigue, mystery and twists to keep you on the edge of your seat. There was never a middle of the book slump. The action, suspense and humor were perfectly balanced to keep the story constantly moving. Of coarse Storme was a great character but Chick was really interesting. He's got some serious secrets in his past. J.Rodney Turner did a really good job with the narration. This is the first time I have listened to him narrate a book, but it won't be the last. He was the perfect narrator for this story. That voice! It's definitely easy to listen to for long periods of time. He's got that deep dark gravelly thing going on that would be great for some of those bad boy…rocker, biker, military…or whatever bad boy book you like. Clearly spoken with a nice smooth pace. Some really good character voices. Of coarse his male character voices are good. There is not a lot of difference between male and female character voices…but I would much rather have just a slight change in tone between male and female character than a high pitched screechy female voice. He was able to bring the characters and story to life through his narration. Hopefully he will narrating the rest of the series.Very enjoyable. My only complaint.. you can hear him swallowing occasionally. Poor dialogues, cliche sequences, overtly violent. Some better dialogues, to start with. Sounded like someone with a poor sense of humor wrote all those. One-liners, dad jokes, wiseass digs, pun trains... it had all these as conversation movers. I stopped listening to the book so many times because of this. None of those were funny. Next, some better "omg, didn't see that coming" events, instead what I got; cliched events like good-ol' sheriff getting killed after he's told about the attack. And some better use of the violence. In this book, it is just mindless. 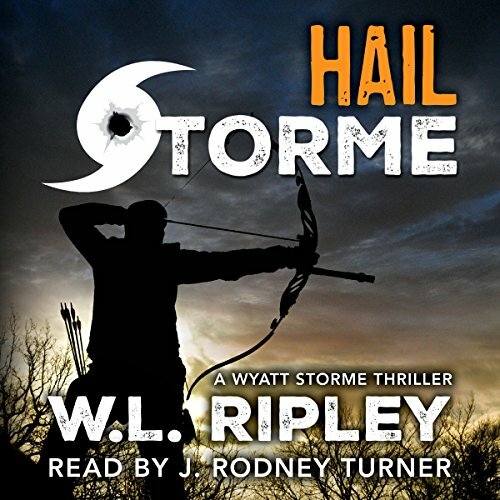 Has Hail Storme turned you off from other books in this genre? No single book can turn me off from an entire genre. Would you listen to another book narrated by J. Rodney Turner? The narration itself was fine; so I have nothing against listening to another book from J. Turner. Exactly as you'd expect; hail to the hero, Storme. 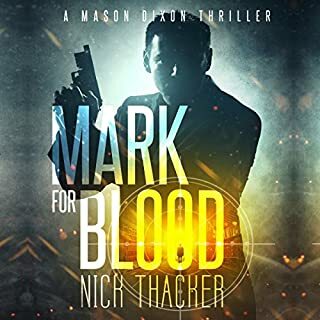 This is truly a fun and action-packed listen involving the good (war heroes and sports star) versus evil (bad cops and drug dealers) with a predictable outcome. True, the good guys don't win every battle, but they do win the war. 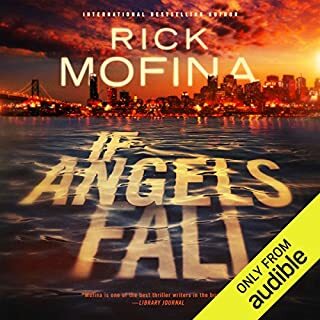 In between there is enough intrigue, action, suspense, and humor to create a listen that kept me taking in on more chapter time and time again. It has the macho banter, fisticuffs, shootings, and killer babes to keep the heroes fed. I would say that the only drawback is that a few of the scenes begin to get rather repetitions toward the end of the story. By then we know how tough Storme and his sidekick (war and DEA hero) Chick are as they are constantly disposing of multiple opponents; many who are armed and certainly dangerous. The narration by J. Rodney Miller was excellent and I would say he brought an added dimension to the story. The characters were pretty well developed and the story-line moved along a contiguous path without many (if any) loose ends. I would recommend this book for those that are looking for a testosterone driven listen targeted for a male audience . . . at least for the most part. Since that seemed pretty apparent from the title, cover artistry, and publishers summary, thelisten was exactly what I expected it to be . . . rather fun. The story is full of action and engaging characters. Wyatt Storme is a totally cliche main character but you can't help but love him. Mr. Turner also did a fantastic job on the narration. I enjoyed every minute of this audio book and will look more from this duo in the future. This is an excellent book. The suspense is palpable and the build up is superb. This story is so realistic and so believable and so frustrating! This is the first book in the Wyatt Storme series and the first book by W.L. Ripley that I've experienced. What a wild ride. This story is about Wyatt Storme, ex-soldier, ex-football star, who gets pulled into a mystery dealing with a new super drug and murder. As I said, it's a wild ride. Fast paced and action packed. Storme is a great character, as is the sidekick he picks up along the way, and you instantly like him and root for him. J. Rodney Turner narrates the book and WOW am I impressed. This guy has an awesome voice and it suits the character well. His voice is gravely and instantly gives off the sense that this guy is a badass. Hearing him for the first time I instantly thought &quot;this is the voice of a cowboy'. Seriously, the mental image that flashed in my min was Jack Palance in the City Slicker movies. I checked out his other work and surprise surprise it seems a ton of his narration work is for Westerns. I will definitely be checking out more of his work. Overall great narration for an exciting story. Definitely worth the time!